Whats the Big Deal about Prepping? Home Survivalist Tutorials Prepping 101 Preppers Guide – Prepping for Beginners What’s the Big Deal about Prepping? 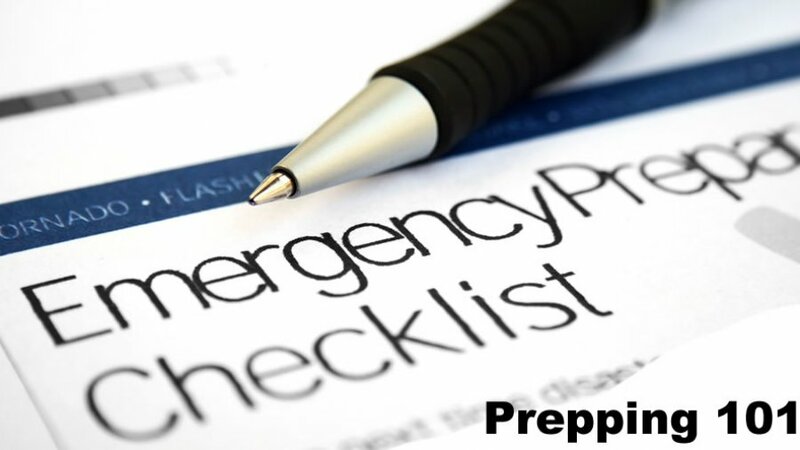 If you’ve been watching TV, listening to the radio or following current events, you’ve surely heard about a new movement referred to as prepping. But what exactly is it, why should you do it, and how do you get started? There are many different levels of prepping for disaster that range from simple pantry-stocking to full-out bunker-building. We’re going to take the middle road of logic and common sense that helps you set a course to be reasonably prepared for emergencies in as little as 30 days. Increases in natural catastrophes and terrorist attacks have brought to light the very real possibility that you may experience an incident that forces you to live without the access to modern conveniences and emergency services that you’ve come to depend upon. In recent decades, we’ve sacrificed independence for convenience to the point that we can’t even perform daily activities without pre-packaged foods, electricity or running water. We just assume that they’ll always be there, but what if they’re not? Recent disasters such as floods, wildfires, and hurricanes such as Katrina, Charlie, Wilma and Sandy caused enough devastation to put people in exactly that situation. We watched as people waited in line for rations of water and food. People fought over fuel and went without showers and even shelter because they weren’t prepared. They were completely dependent upon others for their very survival and the system nearly collapsed under the weight of their need. If you were to be cut off from civilization and forced to do without utilities for a week, would you have enough food and water to survive? Would you know what to do? Probably not. That’s why prepping for disasters now is so important. Waiting until the 11th hour just won’t do, and stopping by this site is your first step in the right direction. When news of an impending disaster breaks, most people rush out and clean the shelves of local grocery and hardware stores. Stores only stock so much and in these situations, they generally don’t have enough to meet the needs of everybody. If you’re already stocked, you won’t have to worry about whether or not you’ll be able to get what you need to survive. If disaster strikes quickly and you can’t get out to stores and medical facilities, you’ll already have what you need and know what to do to ensure your survival. You won’t have to waste what little bit of advance notice that you get fighting other unprepared people for necessary supplies and staples. You can concentrate on last-minute preparations such as battening down the hatches. Also, you’re not placing additional burdens on a system that will already be taxed to the point of breaking. The main difference between people who prepare in advance for disaster and people who don’t is simply mindset. When people live in comfort and security for most of their lives, they tend to get lax and assume that those luxuries will always be provided for them. They have faith in the system. Preppers assume responsibility for their own safety and welfare and don’t depend on others to do it for them. It’s basic self-reliance. The idea of prepping for extended lay-ins isn’t a new one. As a matter of fact, just a couple of generations ago it was standard practice. Families had a pantry that was stocked with staples and a cellar that was packed with canned goods, dry goods and emergency supplies such as candles. Barns were typically equipped with utilitarian tools and there were often safe spots such as storm cellars that were stocked and prepared in case of tornadoes or other natural disasters. People then weren’t dependent upon the government for survival like many folks are now. So How Do You Begin Prepping? Surprisingly enough, it’s not as hard or as expensive as you may think. All it takes is a bit of education, lots of dedication and a minimal amount of money, at least in the beginning. You need to change your mindset and learn how to live without depending on external sources for your well-being. In short, you need to learn how to take care of yourself and prepare your home accordingly.